Day 51 – Miguel L.
I woke up early this morning to see that the snow we got overnight had pretty much melted away. At least the roads were pretty clear. The sun was really bright today and if it wasn’t for the snow on the ground and Punxsutawney Phil’s prediction of 6 more weeks of winter, you would have thought Spring was here! 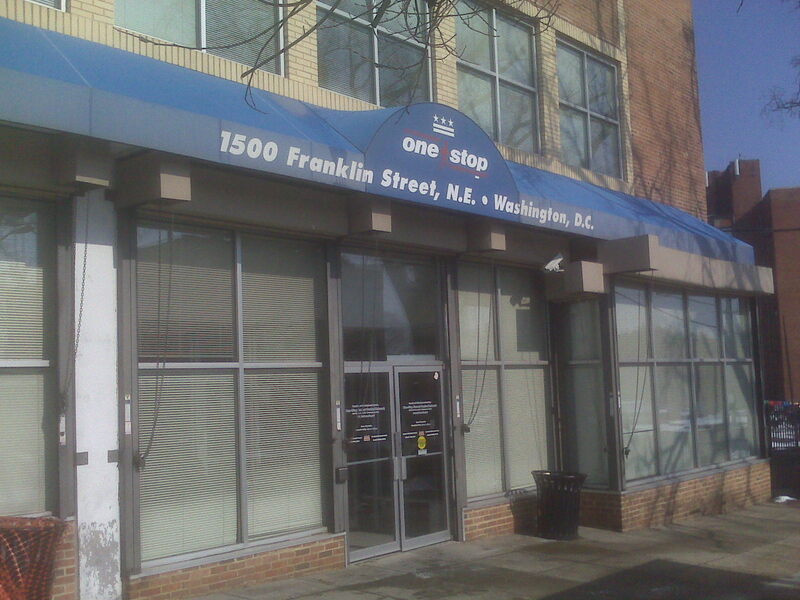 I hopped in my car and headed over to the Unemployment Offices off of Rhode Island Avenue in Northeast DC. I arrived to find out that the woman with whom I had a meeting, Ms. Bonham, was not in, probably due to the snow. Ms. Bonham has been very good to work with. She is professional and follows up on what she says she is going to do. The woman at the reception said that she was aware that I would be there and that Ms. Bonham had arranged for me to meet with someone else. I was relieved that I wouldn’t have to make another trip out there. The center is rather empty due to the weather I imagine. I grab a seat and wait to be called. Just a few minutes later the attendant asks if anyone could translate for a Spanish-speaking individual. I offered to help. There was nobody available there to translate. Maybe they should hire me to translate for them there :). After I helped the first gentleman, I was called upon again to help another man, “Miguel”. Miguel explained that he had been unemployed and then started to work for a few days, but that ended and he was unemployed again and needed to know how to handle the situation. Originally from Puebla, Mexico, Miguel has lived in Maryland for 20 years. He is married and has a 5-year-old son. I asked him what kind of work he was doing and he said he was skilled working with concrete. If anyone knows of any job opportunities working with concrete, let me know and I will pass it along to Miguel as he doesn’t have internet and has limited English. Miguel is seated with some other Latinos. They are noticeably shocked when they hear what I am doing. The fact that someone who is out of work themselves would be giving $10 away seems very foreign to them, and I have to admit it is a bit out of the box. He says that he will use the $10 to put gas in his car. We chat for a while. I learn that he loves to cook and we reminisce about Mexican food and how we both love the carne asada in Mexico. He says he misses his parents dearly. At some point, I get the feeling that he suspects that I may not be who I say I am…that my altruistic gesture may not be just that. I mean, why is this strange guy giving me $10 and asking me all these questions?!? When he learns that I will post this on the Internet, he gets uncomfortable. He didn’t say why, perhaps he thinks that I am with the Immigration Office or something. I offer to change his name to Miguel for the purposes of the blog and he seems to be more comfortable. I leave to go have a call that I had scheduled with a potential employer. Unfortunately I spent a long time waiting at the center and would have to do the call from my car. As I sit in my car talking on my cell phone, I see Miguel walk by me to go to his car for something. Does he think I am calling the Immigration Police right now? I hope not. On his way back, he smiles and gives me a thumbs up. While I admit it is very hard for me to learn a new language, I think if I lived in another country for a year (much less 20 years), I would be fluent in the language of the land. Miguel needs to learn English. Based on my experience, to be fluent in one year is tough as an adult…but I agree, in 20 years, you should be pretty fluent.